In much-anticipated sworn testimony at the Diet, a former Finance Ministry official categorically denied Tuesday any involvement of Prime Minister Shinzo Abe, his wife or his top allies in a document falsification scandal that has rocked the government by pushing down voter approval rates in recent media polls. “It was never reported to the Prime Minister’s Office. It’s something that was conducted internally by the Financial Bureau” at the Finance Ministry, claimed Nobuhisa Sagawa, a former National Tax Agency head who oversaw the bureau when the document tampering is reported to have occurred — between February and April last year. Sagawa gave the testimony as a sworn witness, meaning he would be punished if he lied or refused to speak without legitimate reasons. The testimony, however, failed to shed much light on a number of key questions about the scandal, which involves school operator Moritomo Gakuen. Sagawa repeatedly refused to comment in response to key questions, saying he is being investigated by authorities and could face criminal prosecution over the tampering. He left a number of questions unanswered, including about his involvement in the falsifications, who masterminded them and their purpose. “I’d like to refrain from answering because of fear of criminal prosecution,” he said several times during separate sessions in both chambers of the Diet. At times, his refusal to elaborate elicited groans of frustration from the lawmakers in attendance. Opposition lawmakers suspect that someone more senior than Sagawa, possibly Finance Minister Taro Aso or aides close to Abe, may have pressured Sagawa to delete dozens of sections from the documents, which relate to the ministry’s 2015 land lease and 2016 land sale deals with Moritomo Gakuen. The deleted parts included wording that mentioned Akie Abe, the wife of the prime minister, who once served as honorary principal of an elementary school Moritomo planned to build on the plot in Toyonaka, Osaka Prefecture. The falsification has stoked public suspicions that the ministry gave the 86 percent discount to the nationalist school operator because of its once close ties with the first lady. 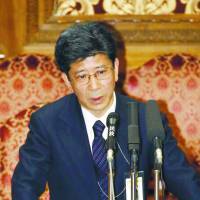 But during Tuesday’s sessions, Sagawa categorically denied having been issued any instructions by Abe, Chief Cabinet Secretary Yoshihide Suga, Finance Minister Taro Aso, the first lady, or any of the prime minister’s allies, including his secretaries. It was Sagawa’s first public appearance since the Finance Ministry — where he had previously served as a top bureaucrat — admitted earlier this month to having doctored a total of 14 documents related to the ministry’s sweetheart land deal. 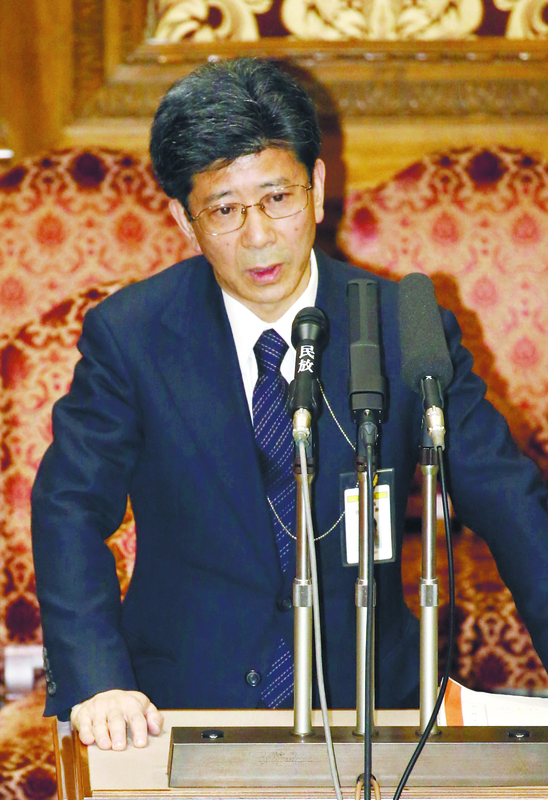 As he appeared before the budget committees in the Upper House and Lower House, Sagawa said he was “deeply sorry for causing major confusion for the Diet and rocking public trust” in the nation’s bureaucracy. 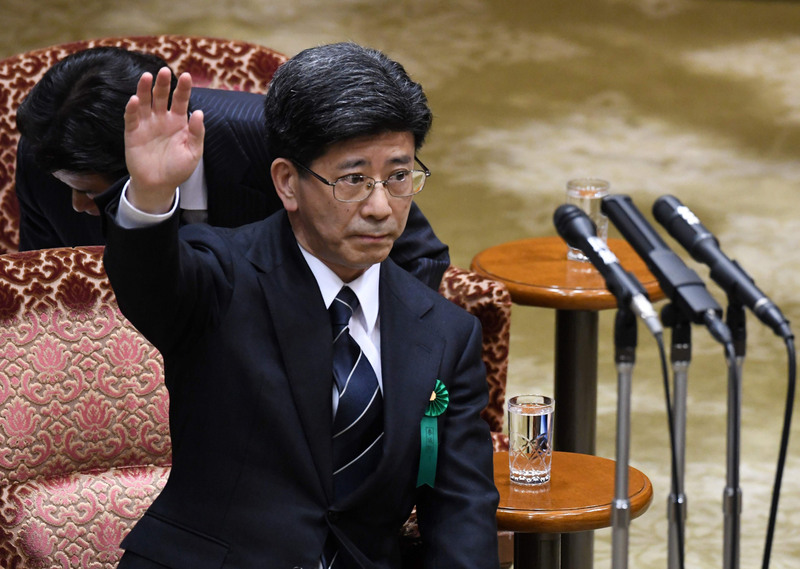 Sagawa stated that Abe’s pledge at the Diet last year — that he would quit his seat if either he or his wife were found to have had anything to do with the scrutinized land deal — had no effect on the way he had vouched for the legitimacy of the sale in subsequent Diet questioning. But when asked why Akie Abe’s name was removed from the documents, the official again declined to comment, saying he won’t discuss anything related to the falsification because of fears of criminal prosecution. Sagawa also said he hadn’t consulted the Prime Minister’s Office before speaking at the Diet last year to answer questions from opposition lawmakers over the deal. 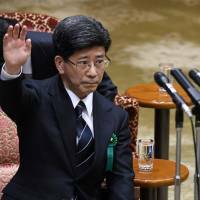 But Sagawa did say that he believes some officials lower than the bureau-chief level consulted with staff at the Prime Minster’s Office in drafting prepared answers for Diet sessions over the deal. “Usually a bureau chief won’t consult with secretaries of the prime minister or a minister to prepare statements (for a Diet session). I think a section chief and other staff did that,” he said. As for the land deal itself, Sagawa said neither the prime minister nor Akie Abe ever exerted influence to facilitate its proceedings. The fact that the first lady briefly served as honorary principal of the school had no impact whatsoever on the deal, he insisted. 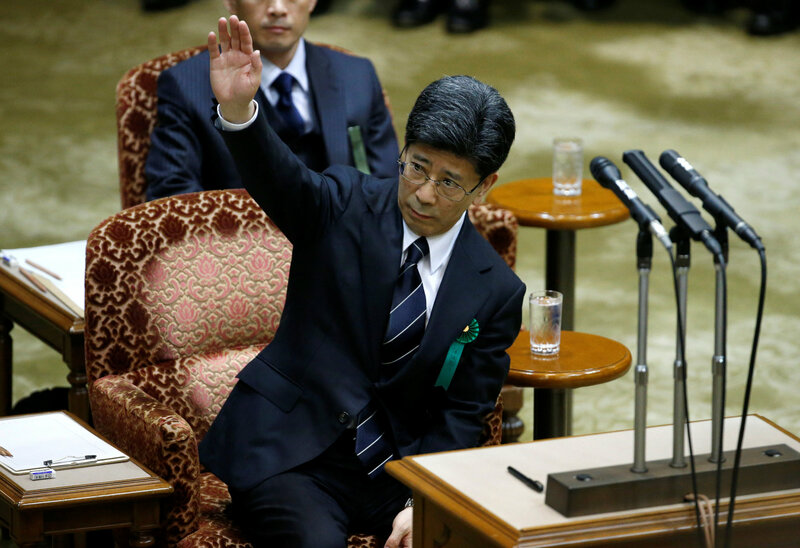 The way Sagawa testified was “extremely insincere” and “further deepened public misgivings,” said a frustrated Tetsuro Fukuyama, secretary-general of the Constitutional Democratic Party of Japan, as he spoke with reporters after the Upper House session wrapped up. “He said he can’t comment on any details leading up to the falsification, citing fears of criminal prosecution, but the fact that he explicitly denied any involvement by the Prime Minister’s Office means he’s obviously contradicting himself. It was as if he was using his criminal prosecution card at his own convenience,” Fukuyama said. 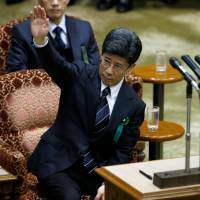 Opposition lawmakers have called for Akie Abe to be summoned to the Diet as a sworn witness. Moriyama added that he believes it brought a “degree of closure” to the whole controversy. Sagawa’s words, he said, “carried weight,” given his position as a sworn witness. The reemergence of the Moritomo Gakuen saga has dominated domestic headlines since liberal daily The Asahi Shimbun scooped the falsification in early March. The scandal has taken a severe toll on Abe’s administration, with recent polls conducted by major media outlets all pointing to a plunge of about 10 percent in support rates for his Cabinet. It has also arguably dimmed Abe’s chances of winning a historic third term in the ruling LDP’s presidential election, slated for September, and thrown a wrench to his plans to revise the post-war Constitution.